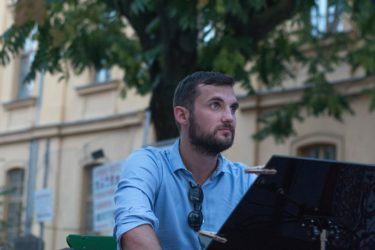 The young and rising pianist Mátyás Bartha has performed with internationally recognized artists including Sheila Jordan, Kevin Mahogany, Jim Rotondi, Scott Robinson and Don Menza. Bartha began playing the piano at the age of eight in his hometown Szentendre in Hungary. He completed his studies with Olaf Polziehn at the University of Music and Performing Arts in Graz, Austria. There, he also had the chance to study with Stjepko Gut, Michael Abene, Dena DeRose and Renato Chicco. 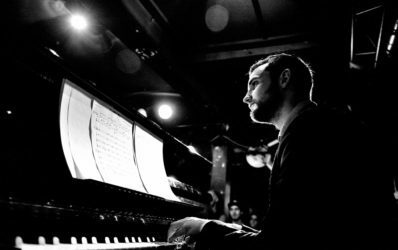 After graduation, Bartha spent sone time in New York City playing the piano with jazz musicians such as David Wong and Pat O’Leary. Rossano Sportiello, Michael Kanan, Ray Gallon and Steve Ash became his mentors. As a young talent, Bartha was twice selected to the Generations in Frauenfeld, Switzerland, where he had the chance to study and play with David Hazeltine, Louis Hayes, Peter Washington, Mark Turner and Alex Sipiagin. Since 2015, Bartha has been an important member of the Vienna jazz scene where he performs with Martin Breinschmid, Mario Gonzi, Herbert Swoboda and Dorretta Carter. 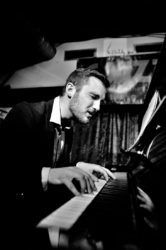 He recorded an album with the Croatian jazz singer Daniel Cacija that led to an international tour including venues such as „Smalls“ in New York City, „Jamboree“ in Barcelona, Bratislava Jazz Days and „Jazzkeller“ in Frankfurt. Bartha’s projects are evidence of his high respect for all music and his aim to connect traditional jazz with other genres.